Who Rules the Online Travel Market? As the holidays are quickly approaching, many people around the world are thinking about taking a last minute trip to escape the stressful festivities and spend the holidays somewhere warm and relaxed. These days, it doesn’t take more than a web browser and a credit card to find and rent everything from a cabin in the Alps to a five star resort in Miami Beach. 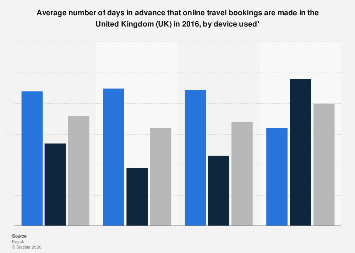 According to Statista’s Digital Market Outlook, the online travel booking market is truly huge. 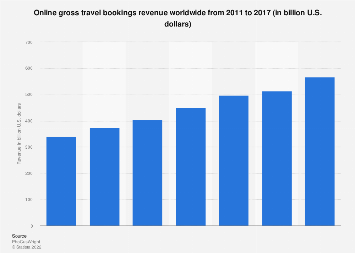 The worldwide market volume for online hotel bookings alone is estimated to exceed $100 billion this year, with package holidays and vacation rentals such as Airbnb adding another $75 billion in annual revenues. The chart below illustrates which service providers dominate in each of the three market segments, that is at least in terms of web traffic they attract. For more information, please download our complimentary market report “eTravel: Online Travel Booking”. This chart shows how large the online travel booking market has become.